Spy Babies is a new series of episodic side scrolling adventure games coming to XBox Live Indie Games. The series takes place in the 1980s during a cold war between a fictionalized United States of America and the fictitious country the Joyous Proletariat of the Alliance of Gustavia. You play as Gustavia’s top spy Ivan Kostyavich as he infiltrates the United States to find and neutralize a top secret spy program. In Episode 1, Ivan has arrived in the U.S. at John F. Kennedy Airport. Now he must retrieve the tools he’ll need that were hidden by his U.S. contact and get out of JFK without being detected. Episode 1 is currently scheduled for Summer 2012. 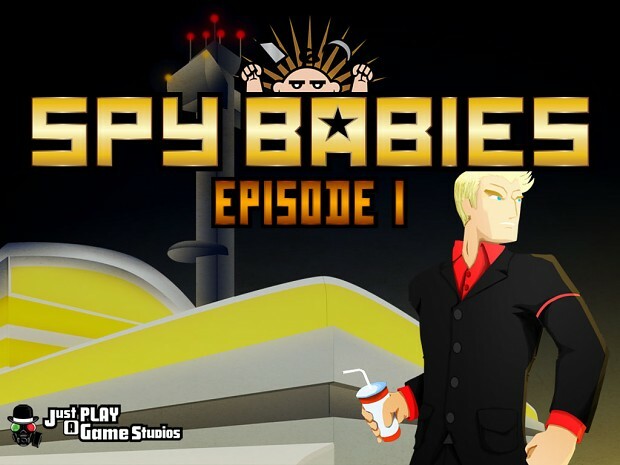 SBE1 is a side scrolling adventure game where you follow the exploits of Gustavian superspy Ivan as he infiltrates the United States to learn the truth about the US's latest secret spy program.